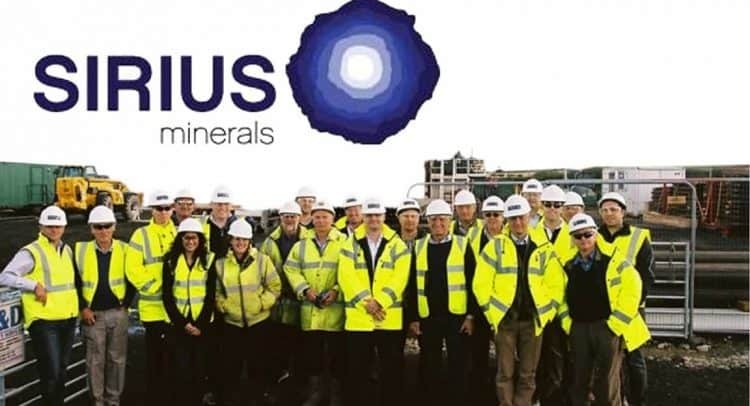 Sirius Minerals Plc (“Sirius” or the “Company”) announces the signing of a binding take or pay offtake agreement (“the Agreement”) to supply POLY4 to PT Chemical Indonesia, which is a wholly owned subsidiary of Wilmar Group (“Wilmar”) for exclusive resale into key South East Asian territories including Indonesia, Malaysia, Vietnam, Thailand, Philippines and Myanmar. Wilmar is listed on the Singapore Stock Exchange and is one of the leading agribusinesses in South East Asia with extensive distribution channels, a mature logistics network in the region and over 250,000 hectares of its own farming operations. South East Asia is one of the fastest growing fertilizer regions in the world, with a population of over 650 million people. The prices to be paid pursuant to the Agreement are calculated using a formula linked to the market price of certain nutrients contained in POLY4 and is broadly in line with the Company’s existing supply agreements. The term of the Agreement is for an initial seven years following initial production which may be extended by a further three years by Wilmar. The Agreement has a delivery schedule of up to 750,000 tpa in the seventh year. In addition, Wilmar has an option to increase the minimum volumes of supply up to 1 million tpa.